Following on from our previous post in this series, today we take a look at one of the worlds most mysterious yet well known artists. Leonardo de Vinci was born in Tuscany in 1452, however he moved throughout Italy for most of his life. That is until headed to Clos Luce by invitation of the King of France. It is here, in 1519 that Leonardo passed away in his bedroom, leaving his legacy and cementing himself as a master of nature, art and physics. From 1214 – 1417 (the middle age) the land was owned by the Amboise Family. The land was than given as a gift to the religious Cistercian order of Monce. In 1471, a freestone structure is built over the gallo-roman foundations, by order of Louis XI. The now fortified building is purchased by Charle VIII on July 2nd, 1490 to become the summer residence of the King of France. The fortress is turned into a pleasure castle. A oratory is built for the Kings wife, both of which spend a lot of time at the Chateau. in 1516, Leonardo de Vinci is invited by King Francis I, where he was also given a pension for the period of two years. It is here that Leonardo spends the last three years of his life. During this time, Leonardo completed works commissioned by the King himself, while surrounded by his students. Many visitors visit de Vinci during his stay, with architect Domenico da Cortona being a frequent presence at the chateau. 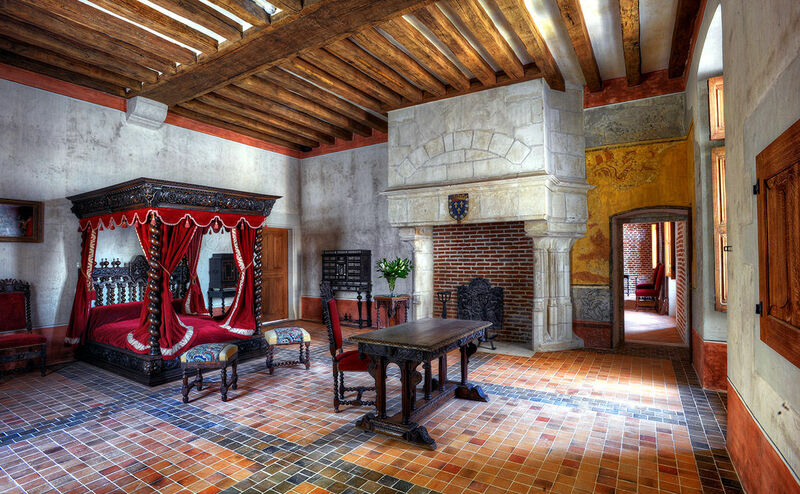 In 1519, Leonardo passed away in his room at the Chateau du Clos Luce. You can still visit the Chateau today, where a number of restoration campaigns are taking place. 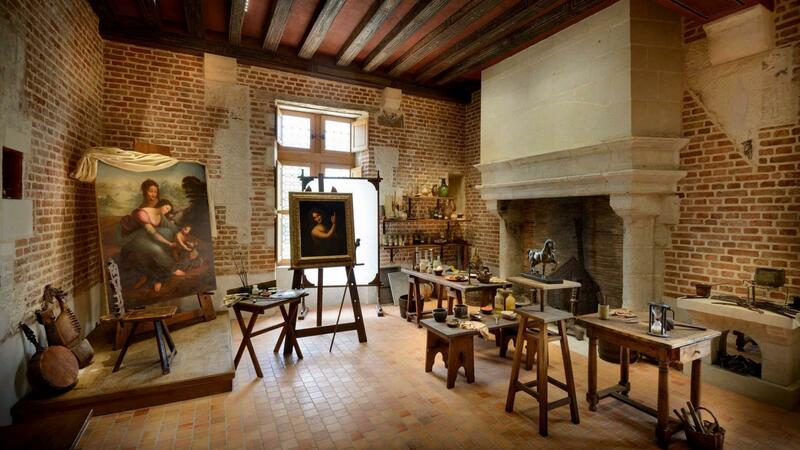 Photo Sourced, Leonardo’s Living Quarters & Studio.